Cave-dwelling animals – troglobites – are unique species of organisms, which include insects, crustaceans, and fish, that spend their entire lives underground. They are specially adapted to living in total darkness, and offer scientists insight into biological processes. Remarkably, biologists have discovered cave-dwelling extremophiles whose food web is based on chemosynthetic, or “mineral-eating” bacteria. They provide clues about the earliest forms of life on Earth, and are being studied by scientists to learn about the potential for life on Mars. Because troglobites cannot live outside a cave, their survival is endangered if the cave environment is damaged or altered. 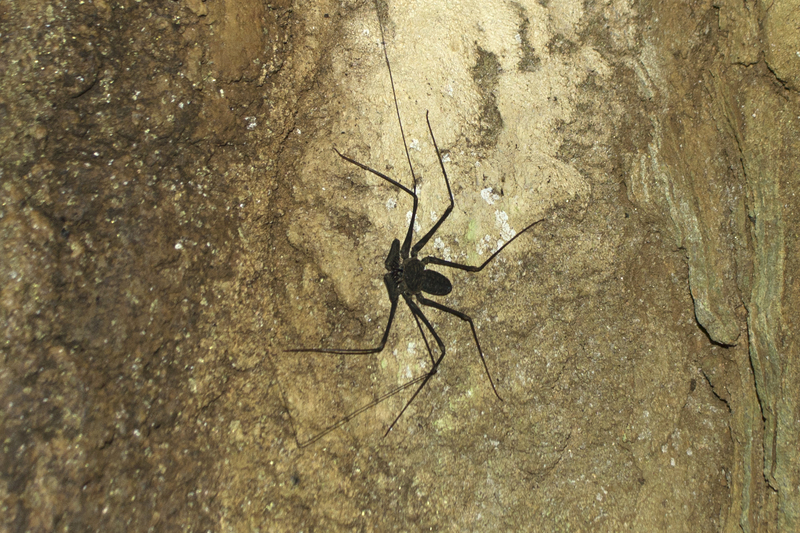 Water pollution, visitor traffic, trash, flooding, and a change in air patterns or temperature can disturb a cave’s fragile food web and ecosystem. Once destroyed, these isolated environments have little chance of regenerating, and unique troglobites could be gone forever.